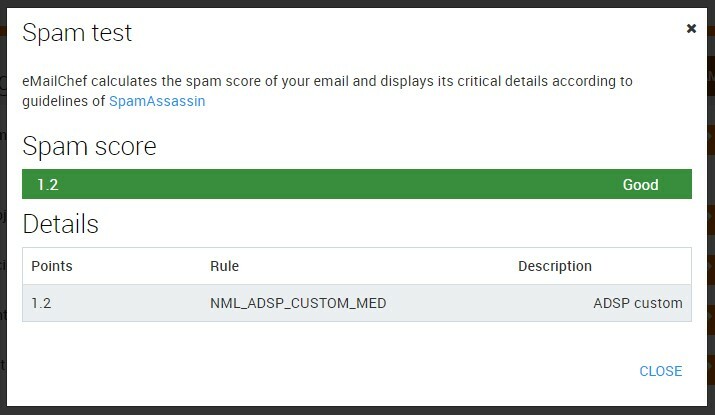 Before sending, it’s always a good idea to review all the core elements of your email (subject line, recipients, sender…) and run a spam scan. Our spam test will highlight any possible “weak points” of your message — some details that could make an incoming server mistake it for an unsolicited email. We also describe them to help you fix them quickly, and give a final vote to the newsletter.